All types of gardeners appreciate convenience and organic horticulturists are no exception. Some of the most convenient products available to an organic grower are prepackaged organic soils. Organic horticulturists growing outdoors spend a lot of time and effort building up an organic soil. Outdoor organic growers add various organic ingredients that, with the aid of a healthy population of beneficial microorganisms, will break down into essential elements for the plants. Over a number of years, an outdoor grower can keep enhancing his or her organic soil to create a healthy, living soil. A healthy, living soil promotes hardy root growth and provides everything a plant needs to develop and thrive. 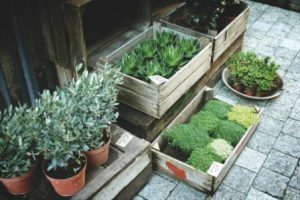 Indoor organic purists who want all the benefits of a super-charged organic soil must either make their own organic soil mixes or purchase organic prepackaged soils. Although there are some benefits when creating one’s own organic soil, the process is often impractical for the average hobby grower. Mixing an organic soil takes space, time, and is a messy process. 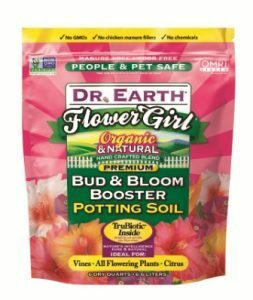 The other option, purchasing a prepackaged organic soil, is quite convenient and can produce the same superior results as a homemade organic soil mix. The key to finding a quality prepackaged organic soil is understanding the composition of the soil because many prepackaged soils contain similar ingredients. However, there can be some drastic differences between prepackaged organic soils, such as the diversity of ingredients and the types of beneficial microorganisms inoculated in the mix and how the soil’s composition affects their population. The first thing an organic grower should consider is the list of ingredients that make up a prepackaged soil. All prepackaged soils have a list of ingredients or a “derived from” list on the product’s label. In most cases, this list appears right on the soil bag itself. A good general rule of thumb is that an organic prepackaged soil with a wide variety of ingredients will better provide a full spectrum of nutrition. Just because a soil is labeled “organic” doesn’t necessarily mean it has a good assortment of ingredients. 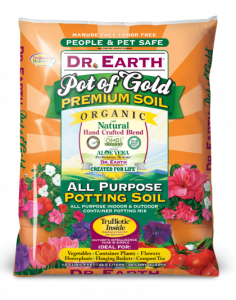 For example, a soil that contains only peat moss, perlite, and pine bark can be labeled as an organic potting soil. A soil with this composition would need a heavy supplementation of nutrients and buffers because it lacks a diversity of organic ingredients. Growers who want to minimize nutrient supplementation should choose a soil with more nutrient-dense ingredients, such as compost, worm castings, guano, etc. It is also important to consider the stage of growth in which the soil will be used. For example, when growing seedlings or freshly rooted clones, a gardener should avoid soils that are too rich in nutrients in order to avoid “burning” the young plants. Some soil mixes are marketed as “starter” mixes. Starter mixes are ideal for young plants and generally contain less nutrient-dense organic ingredients and more water regulating and aerating ingredients, such as perlite, vermiculite, and coco coir. At the very heart of any organic soil mixture are the beneficial microorganisms. Without these precious microbes the organic ingredients cannot be broken down into soluble nutrients for the plants. An organic soil should be thought of as a living thing. After all, the living microbes found in soil are responsible for just about all plant life on the planet. Although some of the organic ingredients found in a prepackaged organic soil already have a population of beneficial microorganisms, a high quality organic soil will have additional microorganisms inoculated into the soil mix. When these additional microbes establish themselves in the soil, they can accelerate the rate at which nutrients are available to the plants. This is especially important for indoor horticulturists who desire accelerated growth in their gardens. Assuming all else is equal, a plant’s growth rate will be limited by its access to essential elements. Organic soils with diverse ingredients and inoculated microorganisms are much more likely to provide plants with all the nutrients they need for rapid and healthy growth. 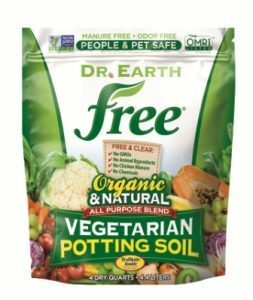 The type and number of beneficial microorganisms added to a prepackaged soil should be included on the product’s label. This enables a horticulturist to compare prepackaged soils from various manufacturers with each other not only based on ingredients, but also the beneficial microorganisms in the mix. There has been much advancement in the development of beneficial microorganisms for inoculating soils. For example, a popular organic prepackaged soil in the early 2000s may have contained five different beneficial bacteria strains and 5-10 mycorrhizae strains. In 2018, that same brand of organic soil contains multiple colony forming beneficial bacteria strains and over 15 mycorrhizae strains. As scientists discover more about beneficial microorganisms and how to isolate them, organic manufacturers will continue to enhance prepackaged soils. Some organic soil manufacturers have made efforts to minimize the loss of beneficial microorganisms in prepackaged soils during storage and shipping. When they are shipped and stored, prepackaged soils can be subjected to a wide variety of conditions, including extremely hot and/or extremely cold temperatures. The most reputable organic soil manufacturers will add wetting agents or other specialized ingredients that protect the valuable microorganisms from extreme conditions. A closer look at the product label will disclose whether that particular soil has any ingredients specific to microbe protection. Some ingredients found in organic prepackaged soils provide valuable nutrients to the plants. As previously mentioned, the beneficial microorganism population is imperative for breaking down the organic ingredients into soluble nutrients for the plants. Some of the most commonly used organic ingredients for nutrition include: compost, worm castings, alfalfa meal, blood meal, bone meal, fish meal, bat guano, sea bird guano, crab meal, shrimp meal, and kelp meal. Many high quality prepackaged organic soils will also include trace elements and micronutrients, such as granite glacier dust and/or azomite. Although a high quality organic soil doesn’t necessarily need to contain all of the aforementioned organic ingredients, it should contain a diverse mix of many of them. In addition to a variety of organic ingredients and a healthy microbial population, another important aspect of a high performance prepackaged soil is its water holding capacity. Particular ingredients, such as coco coir, vermiculite, clay, sphagnum peat moss, and humus-rich compost, can all play vital roles in the soil’s ability to hold water. For example, sphagnum peat moss can hold over 20 times its weight in water. This is one of the main reasons peat moss is a major component of many organic prepackaged soils. However, a water retaining ingredient, such as sphagnum peat moss, can cause too much water retention if not balanced properly with aeration ingredients. The most popular aerating ingredient used in prepackaged soils is perlite. Perlite is made from an amorphous volcanic rock that expands into a porous substance when heated to a high temperature. Perlite is added to a soil mix to increase aeration and allow for better drainage. Although coco coir and vermiculite are substances with water holding capabilities, they can also serve as aerating ingredients due to the texture they add to a soil mix. Essentially, any soil ingredient that combats compaction and allows air to reach the roots can be a beneficial aerating additive. Organic soil mixes specific to succulents and cacti are typically comprised of a higher percentage of perlite. This produces a super-aerated soil, which those particular plants need. Generally speaking, the organic ingredients found in many prepackaged organic soils tend to be acidic. As these ingredients are broken down by microorganisms, they can cause the soil to become even more acidic. To combat a shift in pH, most organic prepackaged soils contain ingredients specific to pH adjustment or stabilization. Limestone, or dolomite lime, is one of the most popular organic additives for pH stabilization. Another commonly used pH adjuster, that also happens to add some calcium to the overall mix, is oyster shell. When examining the label of a prepackaged soil, the ingredients are listed from the highest concentration to the lowest. The pH adjustment ingredients are often listed last as they are usually only needed in low concentrations. For an organic grower to be sure he or she is purchasing an organic soil that will perform up to expectations, he or she must examine the label closely. Some online research into the manufacturer’s processes can also give the gardener some insight as to which soil will be the best fit for his or her garden. If a hobby grower has a basic understanding of each ingredient’s purpose, he or she will be better prepared to compare the microorganisms, nutrient-dense ingredients, water regulating ingredients, aerating ingredients, and pH adjustment ingredients in each prepackaged soil. There are multiple organic prepackaged soils on the market. When the composition of ingredients seems equal, some experimentation may be necessary. Finding the prepackaged soil that works best for a grower’s particular gardening space can be a fun process. Once found, the convenience of a high quality prepackaged organic soil can save an organic grower time and space and all the while provide the plants with all they need to thrive. Eric Hopper resides in Michigan’s beautiful Upper Peninsula where he enjoys gardening and pursuing sustainability. He is a Garden & Greenhouse senior editor and can be contacted at eric@nugl.com.